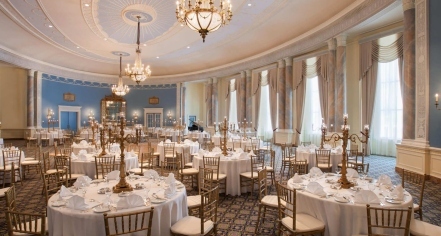 The AAA/CAA four-diamond Fairmont Château Laurier is an unparalleled setting for conventions, meetings, and large events. As a reflection of the world-class city of Ottawa, the Fairmont Château Laurier offers professional meeting facilities with a comprehensive events team and state-of-the-art services. Event planners are experts in their craft and can execute flawless meetings every time. The meeting rooms to choose from include dedicated boardrooms, upscale suites, and four splendid ballrooms. 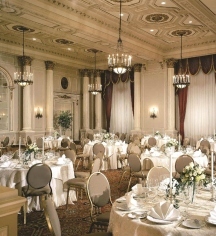 Using the Fairmont Château Laurier as the setting for a dynamic presentation is sure to impress all attendees.